When was the last time someone told you a really good story - one you hear and repeat to your children or grandchildren, one that has been passed down through your family for generations? Kay McFarland believes storytelling has become a dying art, and she longs to preserve that part of our history. Poke Salad is art, formed from pen, paper, and a heart that embraces what is good and right about life. 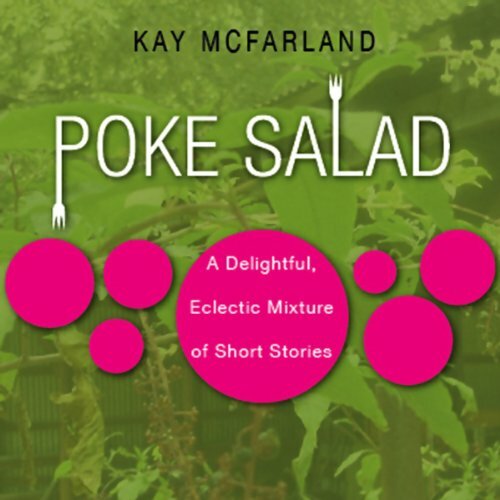 Kay's down-home style of writing brings this anthology of short stories to life. I was looking for some all-ages short stories I could listen to with my kids. A few of these stories were okay, but the rest seemed really dull, and none of us (I or my kids, ages 7 and 10) enjoyed any of them. In contrast to the dullness of the stories overall, the narrator possesses an enjoyable voice and is quite talented.